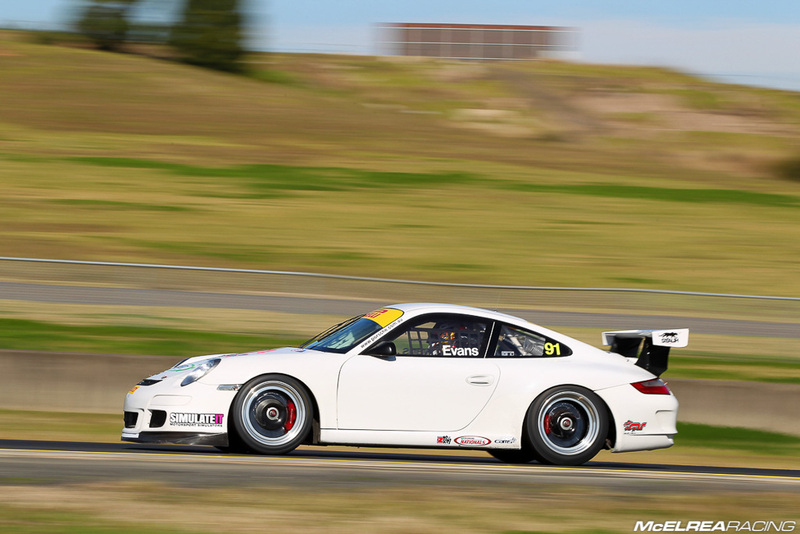 After racing at the second round of the GT3 Cup Challenge at Winton only a few weeks ago, the MR crew have been busy preparing the GT3 Cup Challenge team cars as well as the Carrera Cup and Australian GT cars for Townsville this weekend. 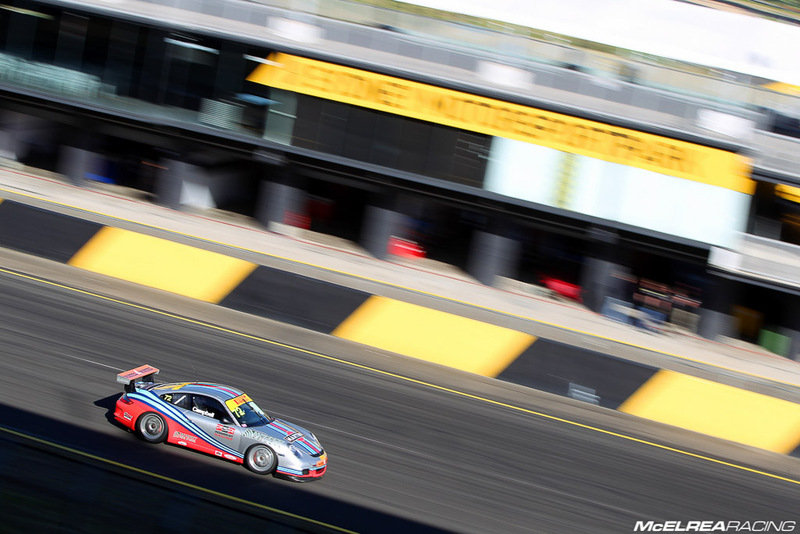 After a pretty dry weekend for trophies at Winton we were very keen for some strong results and were quietly confident on some decent results following our very productive test at Sydney Motorsport Park (SMP) back in May. 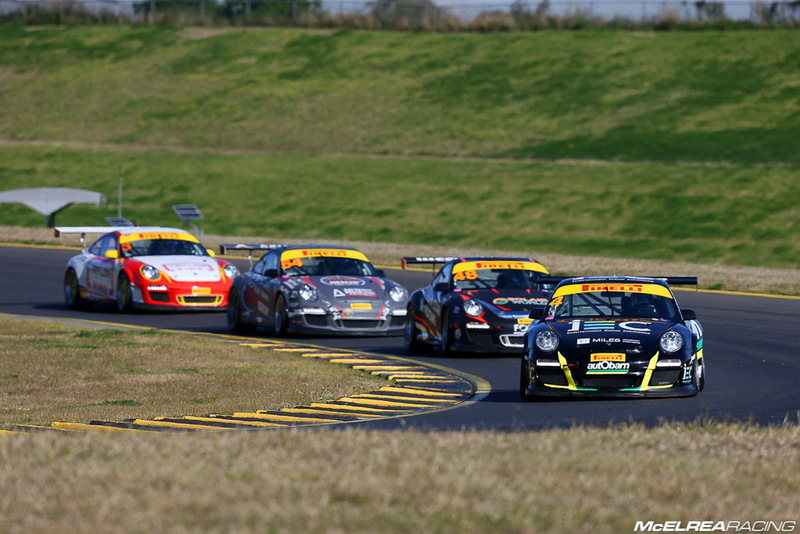 The first race on Saturday afternoon was the second race of the season for the Jim Richards Endurance Trophy. After qualifying 4th outright, James did an outstanding job to win the 30 lap opening race. Dylan O’Keefe was ahead on the road but was penalised 5 seconds for jumping the start. 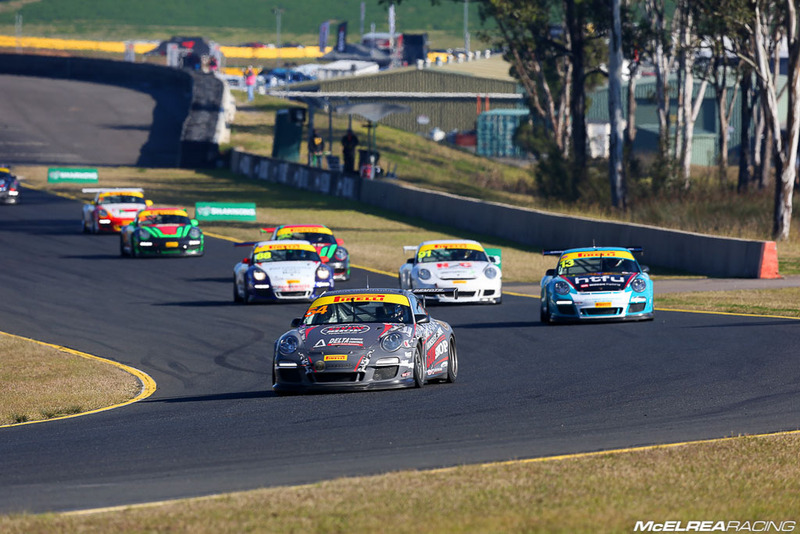 James’s energetic dice and pass on Jon McCorkindale was a highlight of race 1 and he thoroughly deserved his first Porsche GT3 Cup Challenge win in only his third ever round. In race 2 James started on pole, but got too much wheel-spin and dropped back to 5th before muscling his way back to 4th by the end of the race. James dropped a position in the race 3 moving back to 5th. He then put his head down and drove with abundant controlled aggression to catch and pass Goodacre and Emery to finish third in Pro class and 3rd outright. We are really rapt with James’s progress and performance to get his first Pro podium and race win in only his 3rd round. Jaxon did great job to qualify 2nd in B class and 9th outright behind championship competitor, Aaron Seton. In race 1 he shadowed Seton for the first 10 laps until executing a well-timed pass into turn 2. He pulled a substantial gap until a safety car restart on lap 22 where he was unintentionally blocked by some lapped traffic allowing Seton back through to the B class lead. Race 2 saw Jaxon pass and pull away from Seton until a flat-spotted tyre slowed his progress but a mighty effort still saw him finish 9th outright. In the final race he didn’t get off the line as well as Seton and got caught up in some slower A class traffic which hampered his charge to hunt down his championship rival. At the mid-point of the Championship Jaxon is now only a few points behind Seton in the B class category so the Championship is still well-and-truly wide open. Tim was a bit disappointed to only qualify 10th but soon made amends with a typical lightening start in the first race, vaulting him into 6th place by turn 2. He had great pace and was looking to break into the top 5 but was hit by another competitor who “misjudged the grip level” while attempting an overtaking move. Unfortunately, Tim’s clutch sustained damage as a result of the contact and he couldn’t finish the race. After starting from the rear of the grid in race 2 Tim got into the top 10 before a small mistake let former business partner Scott Taylor through late in the race. Race three produced an improved 8th outright and 4th in class after another great battle with Taylor seeing them cross the line in a photo finish. Tim tried a different preparation strategy deciding to stay at home rather than with the team, which he suspects may not have provided his best results. 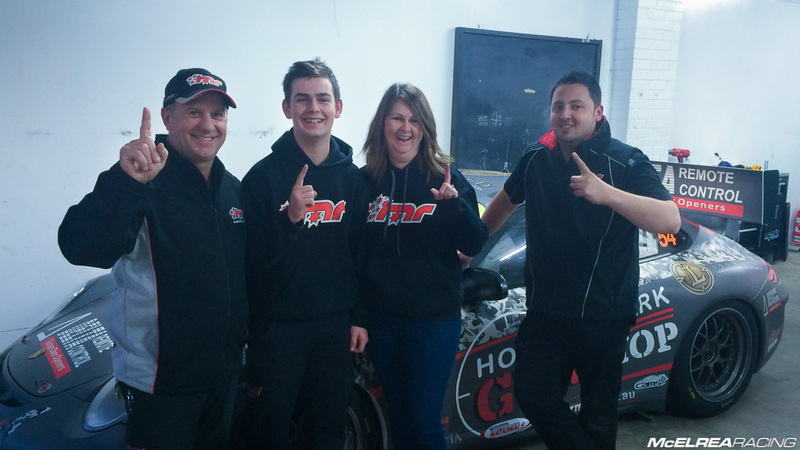 Jim was joined by a new team-mate and more experienced B class competitor Grant Sparks at SMP. Jim qualified 4th, only 7/100s of a second off Sparksey. He had a blast in race 1 dicing with Grant and having a couple of forceful but unsuccessful lunges over the last few laps. He finished 14th outright and 4th in B class. Too much wheel-spin at the start of race 2 but he managed to hold position and pull away from Finn and Barwood to chase his MR team-mate Grant Sparks for the remainder of the race. In the last race he got a great start to get the better of Sparksey and the two of them had an epic race-long battle with Jim keeping his cool to get the upper hand. Jim’s reward for consistent improvement sees him sitting 3rd in the B class Championship at the midway point of the season. 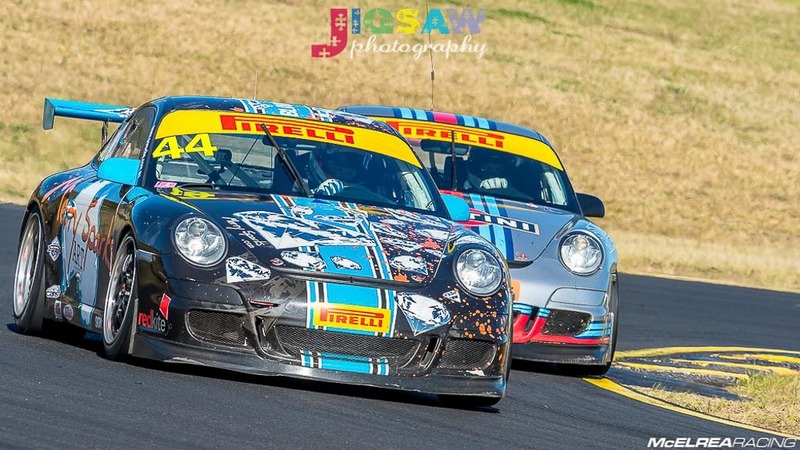 This was Sparksey’s first GT3CC round for the season and he clearly enjoyed being back in the Championship. He qualified 4th and did a great job in the 30-lap opening race, particularly to hold off a charging Jim Campbell in the dying laps. In race 2 he did an impressive job having a classic dice once again with team-mate Campbell. There were plenty of close moments between the two of them but great sportsmanship from both of them kept the racing hard but fair. The third race didn’t go Sparksey’s way against Jim Campbell but it was great to watch the level of commitment and trust between the two drivers. It’s always nerve racking for the team when two team cars are battling even when they are mates! 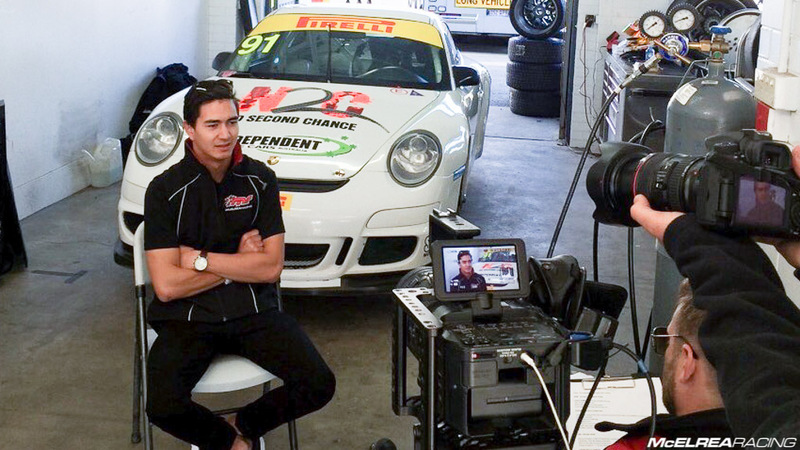 We were really rapt with Grant pushing through the comfort zone to improve his pace and focus over the weekend. This is the furthest away Grant and Jim got from each other all weekend! 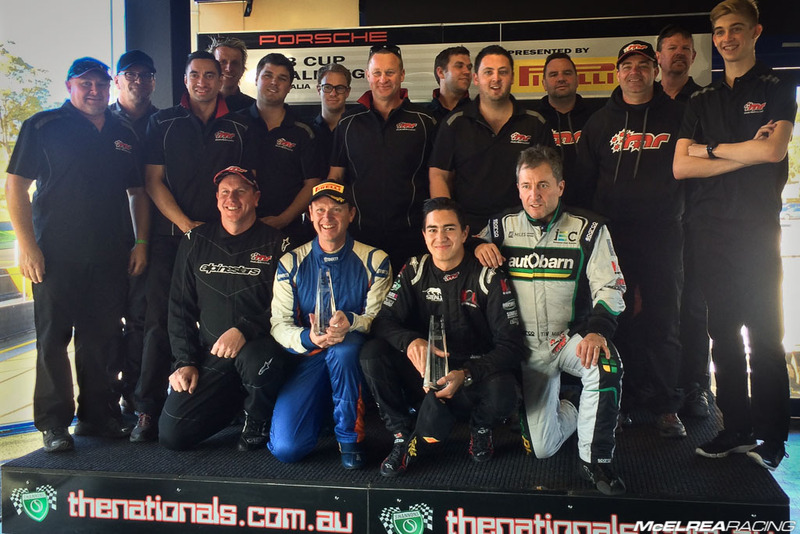 It was fantastic to get three of our drivers back on the podium at Sydney Motorsport Park. Obviously the highlight for MR was James Abela’s first win in GT3 Cup Challenge and his general improvement, maturity and patience in the heat of battle. Although a little out of the spotlight but just as impressive is Jaxon’s blinding speed in the older B class car. We think Tim learned his lesson and will stay with the team in future as we are clearly better at managing his mental preparation. 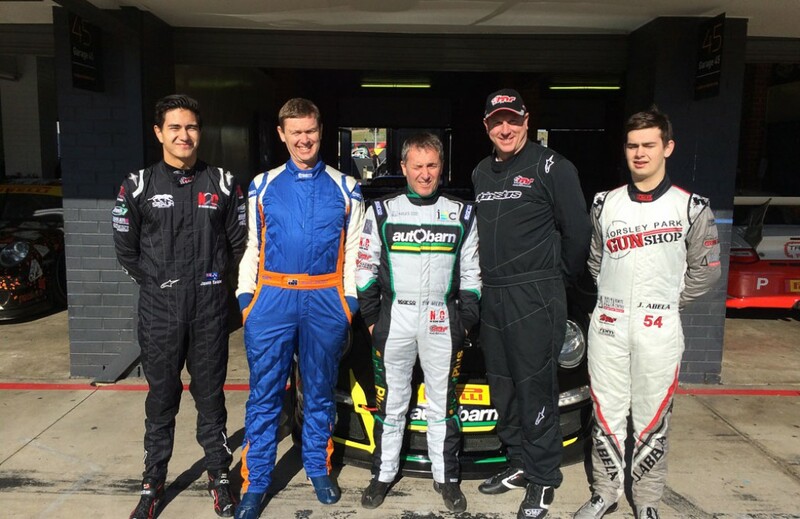 Jim and Sparksey look set for a season long battle after their form at SMP which great for the team as they are spurring each other on and having a blast doing it. The next round is at our home track so we are really looking forward to Queensland Raceway on the 8th and 9th of August. Many thanks to everyone supporting the MR family. We can’t wait for Townsville in a few days!